It has been nearly 20 years since unspeakable horror unfolded at Columbine High School in suburban Denver, where two school shooters firebombed and shot dozens of their schoolmates, killing 12 students, one teacher and themselves. The new online news site The Colorado Sun has produced an insightful series of stories that summarize the progress — or lack thereof — in making students safer in their high schools. 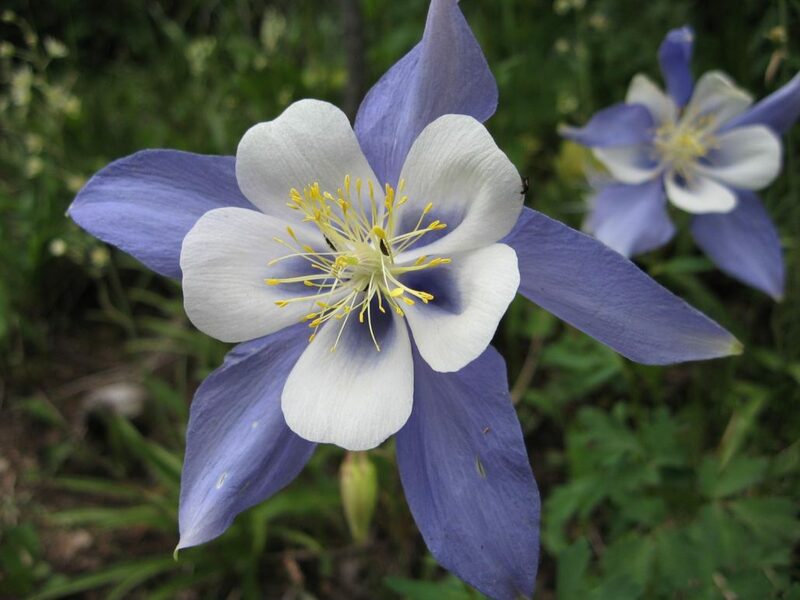 The “After Columbine” stories have a Colorado angle, but they are universal to anyone in a high school, public or private. On another note, the Colorado Sun is made up primarily of former employees of The Denver Post, many of whom were laid off by Digital Media First/Alden Capital, the company and hedge fund that own the Post. The Sun is an interesting look into how the media landscape may look in the near future, with local subscriber- and donor-funded digital news sites taking audience away from advertising-funded print media. Teachers in California’s capital city walked out Thursday in a one-day strike meant to protest what they say are unfair labor practices in their district. Part of the problem seems to be class sizes, at least according to one teacher. So what happens when you publish news that some consumers don’t like? Well, on college campuses, too often the newspapers are stolen and thrown into trash or recycling before readers can get them. That’s what happened this week at Colorado State University in Fort Collins. The Rocky Mountain Collegian newspaper wrote stories for Tuesday’s paper about the alleged misuse of campaign funds by students running for student government office. If a newspaper prints 10,00o copies, that’s $10,000 in liability for the thief in addition to the value of the advertising and the actual cost of printing. You may think of establishing something like that if you ever envision a scenario like that happening in your school or in your community. Women in Texas could be sentenced to death for getting an abortion if a House Bill becomes law in the Lone Star State. State Representatives on Tuesday passed House Bill 896 out of committee to the entire House. The bill would classify abortions as homicides in Texas, thus opening women who have abortions to being prosecuted for murder. Republican leaders, however, are saying that the bill has no chance of becoming law in Texas, where both legislative bodies and the executive branch are run by the GOP. Still, some view this as a step toward even greater abortion restrictions and possibly the reversal of Roe v. Wade, the 1973 U. S. Supreme Court decision that legalized abortion in the U.S.
Get your orders in, make your nominations for induction … now ! We ask any schools wishing to send in orders of pins, t-shirts, cords, etc. to do so as soon as possible. 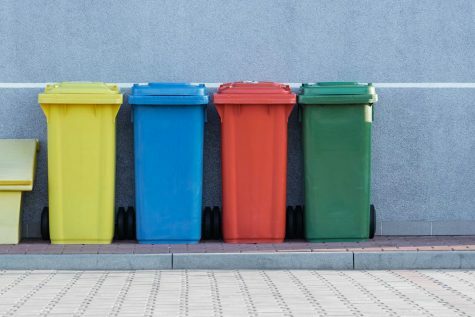 In April, our office becomes very busy with a large influx of orders; as a result, we ask for your patience and allow at least three weeks for your order to be processed and completed. We also need a form of payment (check, purchase order, credit card payment) before we ship. 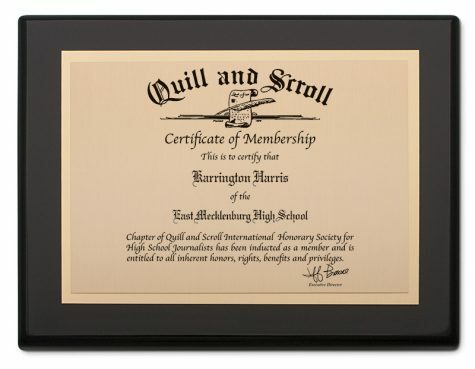 To register your students for membership or order Quill and Scroll items, click to access the 2019 order form. Q&S wants your induction video! Would you like to be a part of the official Quill and Scroll video? Send us any video of your induction ceremony by clicking the button below, and we’ll use it as b-roll for our video. The Q&S video is set to debut in the fall. Send us the video file in .mov or m4v format. It doesn’t matter if you’ve used professional cameras or your mobile phone. Send it to [email protected]. We are pleased to introduce our new official membership certificate plaque program in partnership with Award Emblem — our award partner and manufacturer of the official Quill and Scroll International Honorary Society membership pin for more than 50 years. For the first time, you can now purchase exceptional quality plaques that honor your induction and membership into Quill and Scroll. Each plaque is custom imprinted with your personalized membership certificate. These beautiful plaques will remind you and others of your hard-earned achievement for years to come. On April 10, 1926, in Iowa City, Iowa, 19 high school advisers met with George Gallup to form the Quill and Scroll Society. Since then, another 11,000 schools have been granted chapters by the Quill and Scroll International Honor Society, and we’ve inducted a half million members. If you have alumni from your school who you think would like to support the Quill and Scroll Foundation, which funds our college scholarship program, we could use their help. Visit our alumni page to learn more. Happy 93rd birthday to those 19 original schools! The Lester G. Benz Memorial Scholarship pays an adviser from a Quill and Scroll charter school up to $500. The scholarship is used to reimburse for expenses incurred while receiving continuing education at a summer program dedicated to journalism and journalism instruction. If you’re a teacher, apply now before the April 15 deadline. Students who are national winners of the Yearbook Excellence Contest or the International Writing, Photography and Multimedia Contest and Blogging Competition are eligible to apply for one of the Edward J. Nell Memorial scholarships in journalism, or one of two George and Ophelia Gallup awards. The Richard P. Johns Scholarship is open to all Quill and Scroll seniors, including those who did not enter contests. Postmark deadline for all applications is May 10. All scholarships can be used for tuition, room and board at any college or university. Recipients must major in journalism or a related area of communications. The scholarships are awarded for the freshman year only and are paid in two installments (fall semester and spring semester). Quill and Scroll is encouraging past entrants to compete in the Journalism Education Association’s Junior High/Middle School contest, which has 16 categories that span writing, photography, design, yearbook and broadcast journalism. News consumers want balanced, honest and in-depth journalism, according to a study released last week by the Reynolds Journalism Institute at the University of Missouri. You can find a great summary of the entire report here, including a good discussion what exactly “balance” means in an era where politicians, notably the President of the United States, make misleading and incorrect statements on a daily basis. Is it balanced to include factually inaccurate statements from public officials? Creighton University graduate and current NBA player Kyle Korver of the Utah Jazz caused a ripple in the sports world this week with his personal account of how he benefits from the privilege of being a white male. “How can I — as a white man, part of this systemic problem — become part of the solution when it comes to racism in my workplace? In my community? In this country?” Korver writes. A 7-11 owner in Toledo, Ohio caught a young man trying to stuff food into his pockets at the store this week. But instead of calling 9-1-1, the owner asked the young man why he was stealing and to put the items on the counter. When the store owner saw that it was food, he told the young man to take that food and some more with him to help feed his family. Humanity can be inspiring most of the time. Are you concerned about climate change and other assaults on our environment? Then check out the Institute for Environmental Journalism’s Summer Program. Do you live in or close to Iowa and want to attend a game-changing workshop sponsored by the University of Iowa’s nationally ranked School of Journalism? Well, the Iowa Summer Journalism Workshop is open for applications from both students and teachers. And the teachers can attend their classes online, from the comfort of their sun-splashed decks or patios. Or maybe it’s a little Southern Indiana you’ve been pining for? 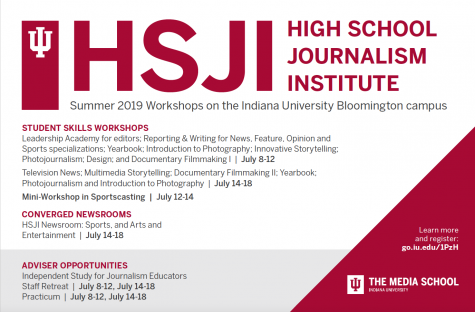 The High School Journalism Institute at Indiana University’s College of Media is also accepting applications.